This is an IHRSA featured article, brought to you by KORR Medical Technologies, Inc. Creating a results-driven tech program can transform your fitness business. Thanks to wearables, internet sleuthing, and other resources, consumers have more access to health and fitness information than ever before. They spend millions on companies like AncestryDNA and 23andMe to learn about their ethnic origins and inherited DNA. And they are especially interested in divining clues about their medical destiny from the data they receive. People can’t get enough information about their own health status, and they now have access to data that was once only available from expensive tests administered by healthcare professionals. This has obvious implications for the fitness industry. “There's a shift happening in healthcare, and people in the health and fitness profession need to learn how to capitalize on this technology shift,” says Eric Durak, president and founder of Medical Health and Fitness. Durak hosted a session at IHRSA 2018 that focused on how health clubs can use this data to create successful initiatives to increase results and retention. This increased emphasis on biometrics is a key element in some of the most popular fitness programs in the industry. You see it in group training classes that display heart-rate measurements of members as they exercise. Whether self-monitored or guided by a trainer, data-based fitness assessments have never been more visible in a club environment. Like all other tech devices, instruments that measure biomarkers are becoming more precise. Body composition, blood-sugar levels, VO2 max, blood pressure—the data is plentiful and accessible. But how does a typical club owner convert this data to create achievable results for members? Here’s just one example from Brad Wilkins, the senior vice president of operations at Cooper Aerobics, the COO of Cooper Wellness Strategies, and a member of IHRSA’s board of directors. Wilkins says his facility uses a new fitness assessment called Functional Movement Systems. FMS identifies limitations and/or asymmetries in a series of movement patterns. A test for metabolic rate is another key metric used by The Cooper Clinic and other clubs serious about health data. It’s easy to understand the importance of metabolic rate. Metabolism is the engine of the body. When you test a person’s metabolism, you’re looking under the hood at the engine and learning how a person burns calories. Better weight loss results: With precise RMR data, you can calculate a “weight loss zone” to calculate a caloric goal unique for your member. This insight shows you why they may not be successful with an out-of-the-box plan. If they have a 1.5-pound-a-week weight loss goal, for instance, you can figure out a plan to get them there much more effectively. Account for abnormal metabolism. Many people mistakenly believe they have a slow metabolism that discourages them from believing they can improve with an exercise and diet program. RMR measurements can reassure them that they have a metabolism in the normal range, which can be motivating. At the same time, if RMR data indicates hypometabolism, members will know to seek further help from healthcare professionals. More efficient tailored workouts: Knowing the calorie needs of a member while exercising tells you their nutrition and energy requirements at each heart rate throughout their workout. This information will allow you to customize each workout to fuel their body correctly in order to meet their goals. Are they burning fat effectively? Or do they need to replenish carbs to improve performance? You will know because you have the data. Increased athletic performance: Those members who want to take on challenges like 5Ks, obstacle races, or triathlons, can maximize their performance by knowing the key thresholds that will allow them to improve endurance, increase maximal effort, and effectively utilize fuel sources. To have this information available to trainers can make a huge difference in creating successful fitness and health outcomes for members. And that creates happy, loyal consumers. KORR is making its technology more accessible. 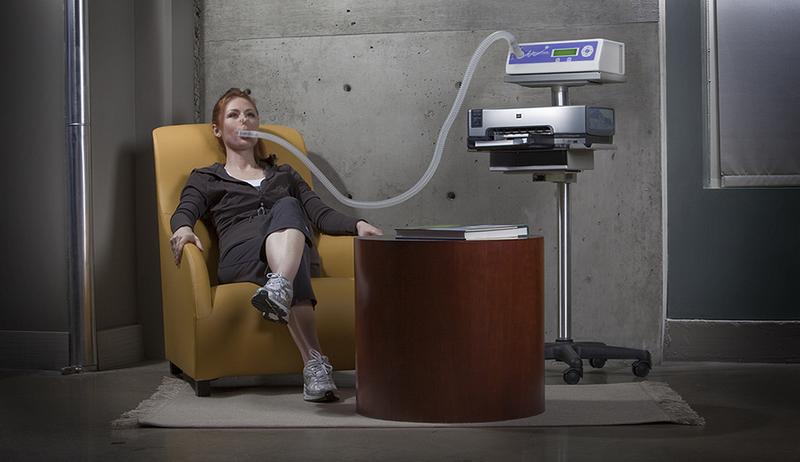 Up until recently, an affordable metabolic test for use in health clubs hasn’t been widely available. 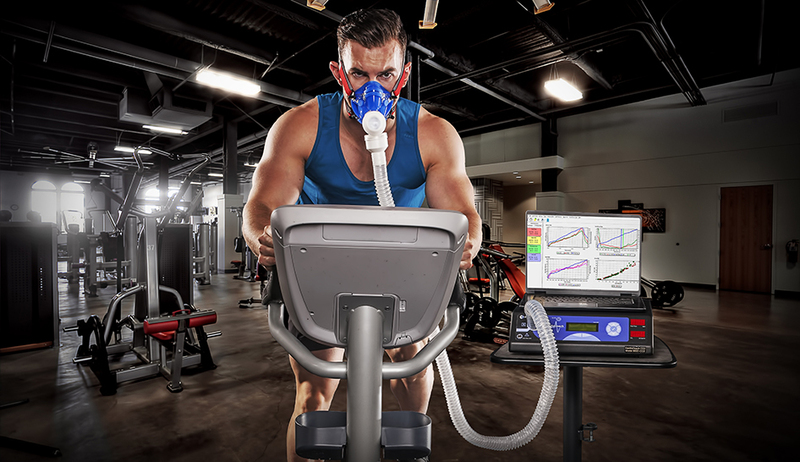 KORR Medical Technologies, Inc., has created testing devices for RMR, VO2 max, and other biometrics that are affordable and don’t require a licensed technician. KORR’s goal is to bring this data to the customer without overwhelming the gym owner in the process. The MetaCheck metabolic rate analysis system by KORR is a simple 10-minute breath test that doesn’t require certification to run the equipment. KORR applies the RMR results to hundreds of meal plan programs designed by licensed dietitians to help you construct the ideal solution to help each client reach their weight loss or nutritional goals. These plans are communicated through an easy-to-navigate app that encourages communication and accountability. The CardioCoach VO2 max analyzer provides the ultimate measure of fitness in a simple, portable, and affordable device. Testing can define the markers necessary for endurance training, peak performance, and metabolic efficiency. The results are uploaded to an app that utilizes the individual’s unique VO2 Max to create heart rate-based workouts designed to meet specific goals. Knowing a person’s resting metabolic rate can allow you to make adjustments for specific clients, which makes your personal and small group training more effective. It levels the playing field for those who have difficulty finding a group program that works for them. For more information on RMR, V02 max training, and other breakthrough technologies, visit KORR’s website and learn how they can help you take advantage of the biometrics revolution.